Single mothers that want to pursue higher education and better their lot in life are a fast-growing segment of the college student population. As students, these women are usually highly motivated, hard-working and extremely self-disciplined — in other words, a professor’s dream. Because of that, colleges and universities are seeking their share of the market as this new breed of student weighs its options. In an era when some schools are having a difficult time balancing the books, single mothers can help to boost enrollment figures. Consequently, financial aid abounds for single mothers who want to pursue a degree. Among the most prominent sources for grants to help single moms go to school are the federal and state governments, the schools themselves, private civic organizations, corporations and non-profit organizations such as women’s advocacy groups. To begin the search for college grants for single mothers, every prospective student needs to fill out the Free Application for Federal Student Aid (FAFSA). Once that is completed, the government will generate an Expected Family Contribution (EFC) for each student. Single mothers usually fare quite well with the FAFSA because they are almost always non-dependents of others and have lower income levels. It is wise to fill out the FAFSA early in the calendar year; you can do so anytime after January 1st, and those who file early and notify the relevant school(s) will get first dibs on aid packages, which can include generous grants. 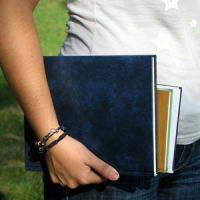 Among those grants are federal Pell Grants, which can total about $5,000 per year, Federal Supplemental Educational Opportunity Grants (FSEOG), which can add up to $4,000 per year, and merit-based grants such as Academic Competitiveness Grants and National SMART Grants , which can help those pursuing degrees in engineering, math, science and some foreign languages. These latter two grants can subtract another $1,000-$4,000 per year from your college costs. Other grants that single mothers are often eligible for are TEACH grants, which give up to $4,000 per year in exchange for four years of teaching in a high-need school upon graduation, and grants for nurses that agree to serve in areas of shortage after finishing their studies. State grants for single mothers mirror federal awards somewhat but some states offer more help than others. New York has a Tuition Assistance Program that can provide up to $5,000 annually to needy students, while Kansas offers up to $3,000, for instance, for residents of the state attending state schools. As with states, some colleges and universities are more single-mom-friendly than others. Among these schools are Minnesota State (Mary Jane Young Scholarships worth $1,000/year for single mothers) and the University of Wisconsin-Eau Claire (Nontraditional Family Scholarships), among others. Once you have dug through federal, state and university sources of grants, don’t stop! Shop around for non-profit organizations that are committed to helping single moms go to college, such as Capture the Dream in the San Francisco Bay area or The Sunshine Lady Foundation, which targets single mothers who have suffered abuse. These are just two examples of the many non-profit organizations that can provide grants for school costs. Civic organizations such as the Soroptimists give Women’s Opportunity Awards to single mothers, and various employers are very interested in helping their single mother employees advance in their learning and skills. Tracking down all of the possible grants for you as a single mother will take hours, but you can go to school for little or even no cost if you hustle and apply for all of the possible grants for which you are eligible.